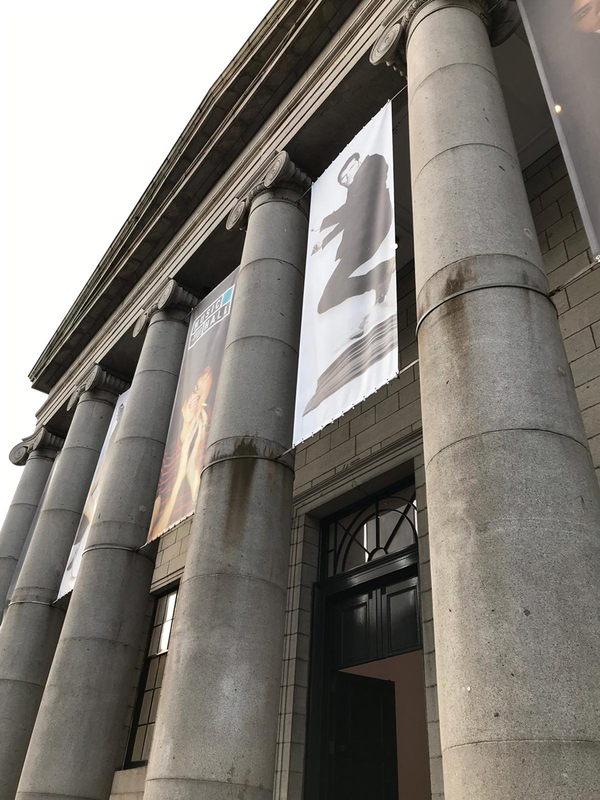 The Music Hall is a beautiful example of a traditional 19th century concert hall and has stood at the heart of cultural life in Aberdeen for nearly 200 years. 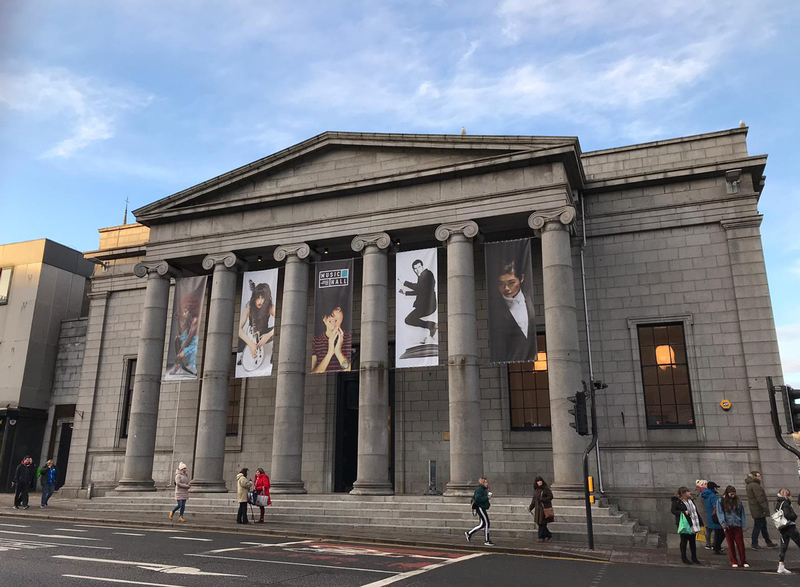 As part of the transformational redevelopment project set to regenerate Union Street, Aberdeen Music Hall was recognised as a heritage asset of national significance and therefore highlighted for restoration, conservation and upgrade by Aberdeen Performing Arts. Re-opening with ‘Stepping-In’, this celebratory community event includes the culmination of a number of projects being delivered in schools and communities across Aberdeen. 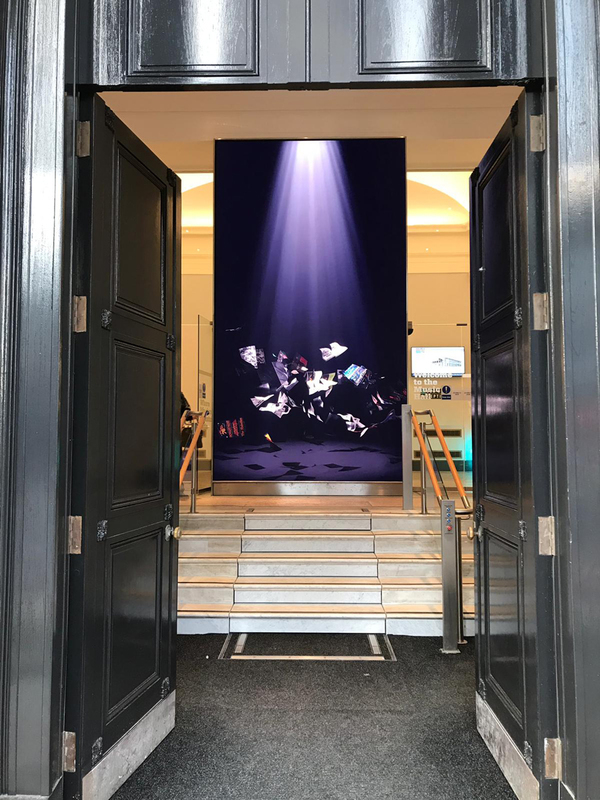 As part of the Music Hall’s vestibule area through which visitors pass on their way into the main building, an impressive ‘Stepping In’ screen stands as a bold and eye-catching welcome at the magnificent building entrance. 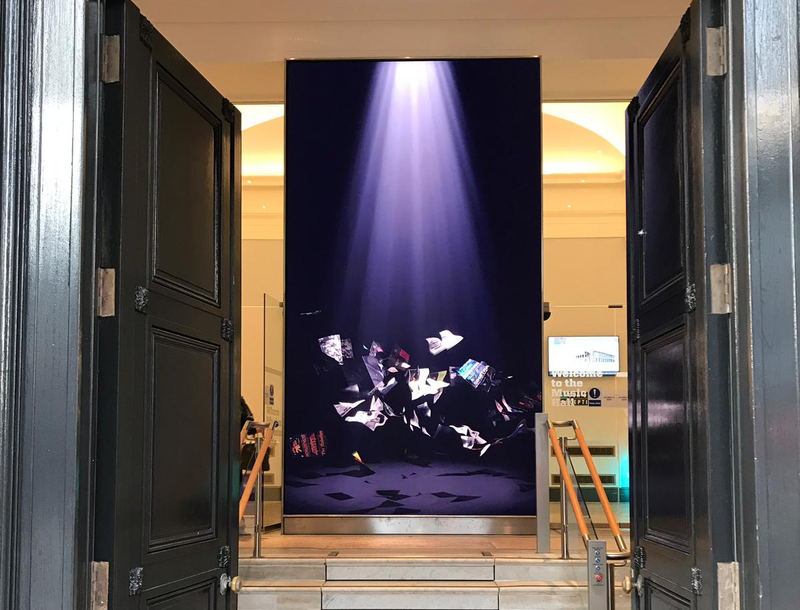 Comprising of 5 by 9 Scanlite P1.9 LED panels, a striking portrait digital canvas spans 2500mm x 4500mm to present a dynamic and eye catching focal point for the entrance. Mounted directly onto the wall between the doorways, the screen becomes embedded in the wall between the glass doors to deliver a flush, seamless and flawless finish. 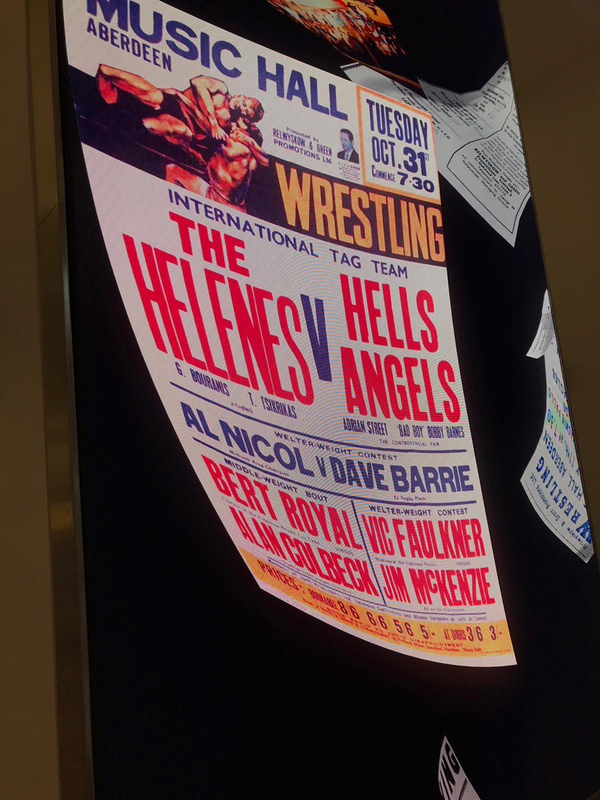 With 1.9mm pixel pitch, this high end display offers exquisite detail when standing up close, yet equally impactful at attracting distant visitors walking past the entrance of the building. With a carefully devised maintenance system, the panels are fully front serviceable allowing easy access for any checks to be undertaken and faults to be repaired should they arise. 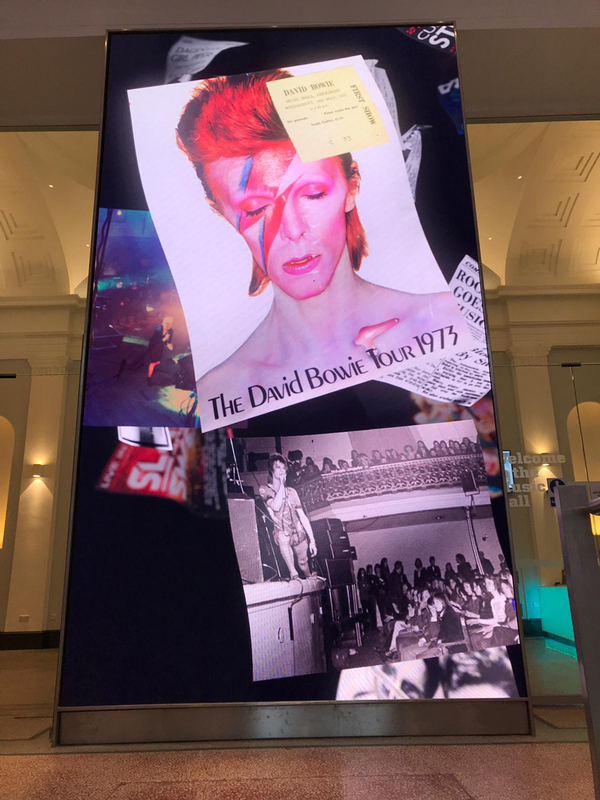 To accommodate the evolving Music Hall event programme, media can be easily updated on a regular basis via a simple file upload software on a PC. 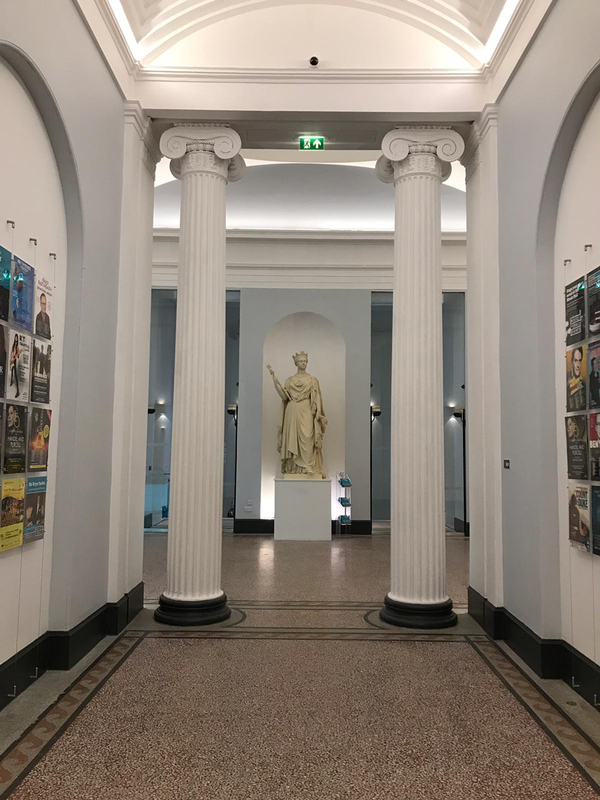 Sysco also collaborating with Scanlite, the supplier and distributor of the LED panels and media creatives ISO to install this visually stunning screen that provides a ‘Wow’ factor in both content, scale and contemporary contrast against the Neoclassical building. On display is a beautiful composition of memorable moments and iconic highlights from the rich history and timeline of the Music Hall. To further enhance the visitor experience in the public foyer, Sysco worked with Elmwood and AVS to custom design and build three kiosks with 24” interactive screens. Acting as project managers, Elmwood commissioned AVS to build the steelwork, before making the wood structure that would house the screens and mac minis within. Sysco were responsible for specifying and ensuring compatibility between the custom metalworks and technology, as well as completing pre-commissioning setup ahead of the final integration on site. Visitors can discover more about the Music Hall and the events programme through these interactive displays. Despite tight timescales, Sysco worked committedly with inventive solutions that ensured completion in time for the grand opening and unveiling of the dramatic new space.